Would you like to learn a series of highly effective guitar practice techniques that will make your guitar playing better immediately after you apply them? The fact is that there are many areas of guitar playing you need to learn and master to reach each of your musical objectives. In order to make progress in all of them, you must have multiple methods for overcoming challenges and plateaus in your guitar skills. To maximize your guitar practice results, you need to start each session by clearly defining specific results you intend to reach when you are done practicing. This will help your concentration to stay high and will direct all your efforts towards making that goal a reality. Doing this will help you to keep track of your results and know exactly what aspects of your practicing may need to improve or be refined further. To avoid boredom from always practicing the same materials over and over and to make more progress in your guitar playing, group together the guitar exercises that help you improve in the same area of your musical skills. You can then freely rotate between practicing the exercises in each group each time you practice guitar. In addition to the obvious benefit of knowing with clarity which goals a particular group of practice items is helping you achieve, by minimizing boredom from practicing you will be inspired to spend “more time” practicing. Having extra motivation to spend more time with your instrument will (in combination with other effective practicing approaches) make you a better guitarist faster. When most musicians find some piece of music hard to play, they typically try to identify (by guessing) what they need to do in order to improve and then seek out additional exercises to work on what they think their problems are. The problem with this approach is that there is too much guesswork involved in trying to diagnose your own problems AND making sure that you find effective exercises to fix them. Instead, simply isolate the hardest areas of the music you are practicing and treat them as you would any guitar exercise. This will guarantee that your practicing is focused EXACTLY on the issues that you need to overcome to take your guitar playing to the next level. To clarify, of course there is time and place to also work on “general” guitar playing exercises, but they are often very much overemphasized in the practice schedules of most guitarists. Regardless of your goals or your skill level as a musician today, your guitar playing abilities will always increase if you focus on refining your picking technique. The best way to do this is to focus on making your picking hand movements more economical and streamlined. I demonstrate how to practice for this skill in this free video about guitar picking technique motions. A. There is no way to evaluate the progress being made (or not made) from your practicing, unless you consider first what results you are looking to get out of any given exercise. B. If most of your guitar practice time is spent on practicing general and unsystematic exercises, many of your ACTUAL guitar challenges will continue to persist for a long time because you haven’t found “specific” solutions (exercises) to fix them. To prevent the above problems from happening in your playing, get very clear about why you intend to practice any item in your guitar practicing. This will clear the clutter from your guitar practice routines leaving you free to focus only on the items that REALLY help to make you a better guitarist. Ultimately, you need to know whether or not your guitar practicing efforts are bringing you the results you want. You will need to measure not only the obvious skills (such as your speed of playing with a metronome) but also the intangible areas of your creativity, improvising and phrasing. One of the ways you can track your progress with the latter areas is by recording yourself and listening to your playing over time. Knowing how well your guitar playing is improving will let you know if/when anything needs to be adjusted to make your guitar practicing more effective. Unfortunately, few guitar players ever track their progress “over time” (that means CONSISTENTLY) and this is one of the main reasons why most have no idea what they need to do to start seeing greater results in their guitar playing. Now that you know what things you need to do to make your guitar practicing more effective, your next step is to start USING this information in your guitar playing on a daily basis. The more you apply this knowledge into all elements of your guitar practicing, the more you will speed up your progress towards becoming the guitarist you want to be. 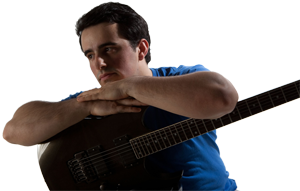 Mike Philippov is a recording musician, professional guitarist and music teacher. His columns and lessons on guitar playing appear on guitar websites all around the world. On Mike’s instructional music website http://PracticeGuitarNow.com you can find many more free guitar practice resources.